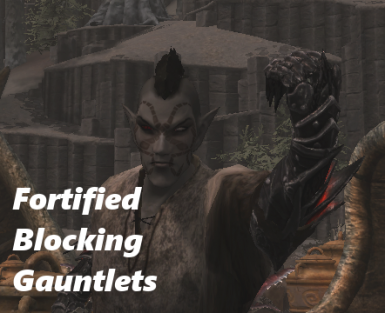 This mod contains sets of fortified gauntlets that allow you to block without having a shield equipped. Because this is an Alpha version, I am not granting any permissions to use and/or distribute this file to anyone yet. If you want to use it, check back with me when I have finished version. Thanks! I would like to thank gratuitous amounts of mead and cinematic action movies for this inspiration. Please report any bugs, but before you do please read the whole description to make sure I am not already aware of the bug. 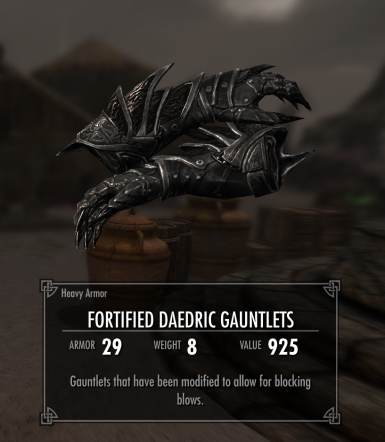 This mod contains sets of fortified gauntlets usable as shields woohoo! Now you can block without worrying about lugging around a clunky shield. This should be attractive for barbarian and sneaky type characters, but will work for any characters that want to use shield perks without visually wagging a shield around. These gauntlets have an increased weight, armor rating, and value (but nothing ridiculous). 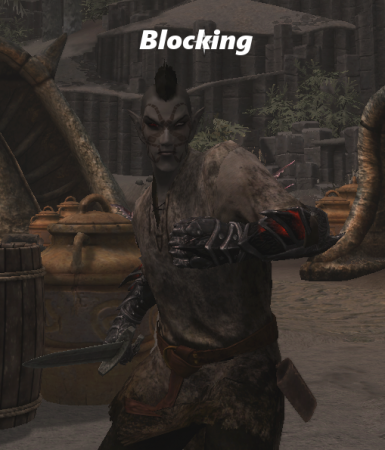 -I have placed the Dark Brotherhood Gauntlets in both the Falkreath and Dawnstar Sanctuaries. -I have placed all three colors of Thieve's Guild Gauntlets in the lockpicking training room. -I have placed an enchanted and unenchanted version of the Nightingale Gauntlets in the Thieve's Guild treasure room. -Create custom meshes for the fortified gauntlets. 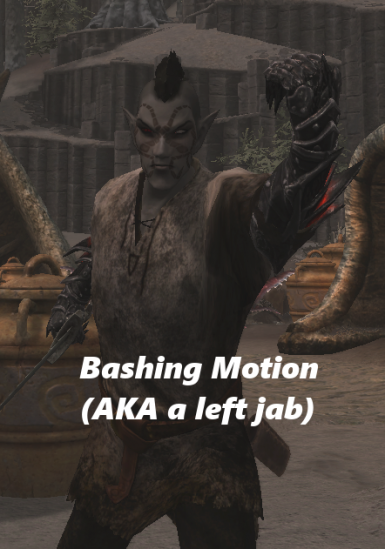 -Make Dragonborn/Dawnguard/Legendary versions of the mod. I have no idea. Message me if you run into any.